As stated in our previous article, the importance of spend analysis to support Procurement cannot be over emphasised. At the same time, the spend analysis topic is also one of the most misunderstood among business users and Procurement alike. So the intention of this and the next articles is to dispel some myths about spend analysis, and answer the questions that were seldom asked about the topic. The most fundamental objective of spend analytics is to create transparency on spend patterns by aggregating and reporting actual spend on several key dimensions. For direct procurement and smaller organisations, this need to aggregate spend may be lesser, as procurement and purchasing activities are usually centralised and are narrowly directed at a small pool of suppliers. But as an organisation scales up in size, the purchasing of indirect supplies is likely to be de-centralised and end-users could engage a large pool of suppliers with or without the knowledge of the Procurement function. Functional units and business users could also be buying similar or the same commodities from different suppliers, foregoing the economies of scale that could have been used as bargaining power with appointed suppliers. Hence, spend analysis should aim to create transparency on the spend patterns of an organisation, and empower the Procurement function to bundle the demand of the whole organisation and establish strategies for sourcing the required commodities at market prices or better. There will be other side benefits from spend analysis, including better control of expenses, improving compliance to contract terms and reducing maverick spend. Firstly, it is worthwhile to note the difference between spend and expenses. Spend is a simple aggregation of payments made to external parties, while expenses relate to the costs of running a business accounted with financial reporting rules. A more detailed explanation of this concept is in the article that defines the types of spend. 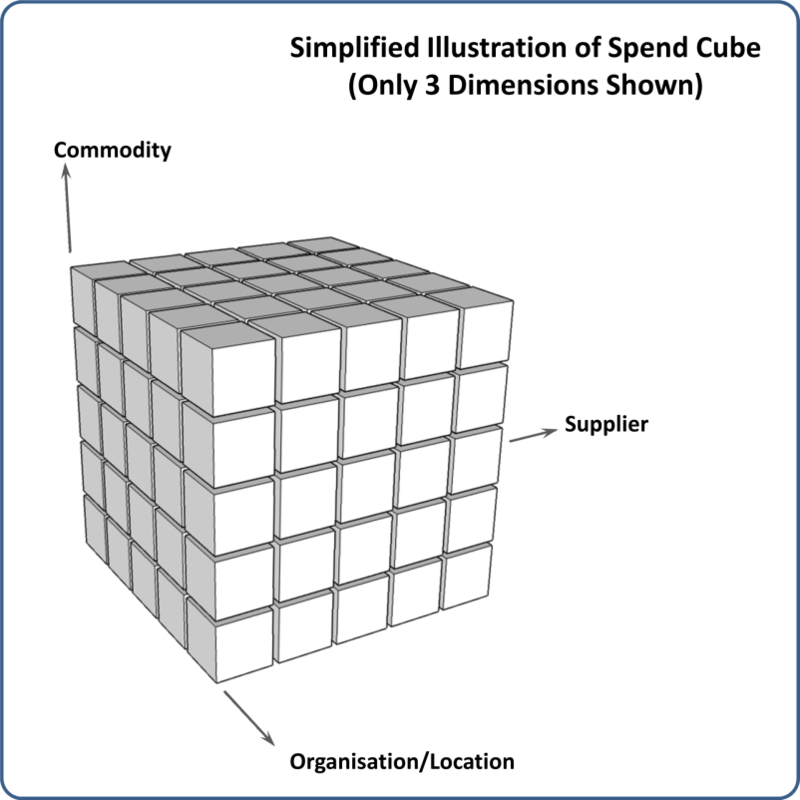 In reality, the company’s Spend Cube program captured more than the 5 dimensions stated, and the 3D view of a cube was an over-simplification of the entire program. Another aspect which is not shown in the simple illustration is the fact that multiple management systems were feeding their data into Spend Cube for aggregation. The company deployed enterprise-level IT tools to enable and drive the Spend Cube program, processing multiple millions of data records a year. As a result, the company was able drive a strategic sourcing initiatives that delivered significant savings to the business units over the years. Spend – Even though spend is defined as the payments made to external parties and suppliers, there remains more than one way of stating it relative to the organisation’s business. Details of the more common definitions of spend will be revealed in our next article. Sources of data – Once the definition of spend was decided, the source of data and methods for data extraction is pretty much narrowed. Depending on the size and scale of the organisation, one or more management systems may be identified as the sources of spend data. Organisations with a significant portion of their business processes outsourced to external parties should include data records of the outsourcing partner as probable sources of spend data. Granularity of spend – It is important to define the granularity required from spend data and match it to the data sources available. For example, larger organisations who operate on departmental lines may wish to have spend reported on the department level. Expecting spend data on a lower or more granular level than the department level would only complicate the program unnecessarily, as such data may not be captured in the source systems consistently. So reality checks are needed to avoid excessive demands on the spend analysis program at this definition phase. Recurring cycle – Determine how often spend data is required, and balance it with the quantity of data that will be extracted and processed. Small and medium sized organisations with a fairly stable spend pattern and moderate data volume may start with a quarterly (three monthly) cycles and increase the frequency when the need arises. Large scale organisations who have fairly established Procurement function and automated processes to extract data from the source systems would typically set monthly cycles. Keep in mind that spend reporting on a real-time basis is not possible and is neither helpful to the organisation. Technology enabler – As potentially large amounts of data will be processed, it is inevitable that technology is deployed to enable the program. Organisations that process upwards of a million data sets a month will likely turn to business intelligence or data warehousing technology. Smaller organisations with up to fifty thousand data sets a month may be able to use desktop database or spreadsheet applications effectively. Besides acquiring the technology in-house, the alternative Is to “buy” a solution from the market. A number of suppliers offer cost effective spend solutions that cover the extraction, validation, cleansing, aggregation and reporting of spend data on a recurring basis. As with all business programs, there are benefits and risks to building an own spend analysis program versus buying an off-the-shelve solution. Organisations who are implementing spend analysis is well advised to consider the make-buy decision diligently. We will now examine the process steps of data extraction and data validation. Contracted spend – At the conclusion of negotiations with suppliers, contract documents are established and executed between both parties (organisation and supplier). The expected spend value (total to cover the contract duration) is known, and may be stated in the contract documents. At this juncture, no payments are made to suppliers yet. And not all agreements for the supply of goods are made with formal contract documents. Ad-hoc and one-off supplies are examples where contracts are not established prior to engaging the suppliers. Hence, the contracted spend value may not reflect the actual and total spend for the organisation. PO spend – Purchase orders (PO) are good forms control of the cash cycle for an organisation. Even if term contracts were created, PO documents may still be used to “call-off” the delivery of goods at the required time. And for commodities which were not contracted but required on an ad-hoc or one-off basis, PO records ensure a good level of traceability and accountability of the purchasing process. All PO records contain a purchasing value, and this can be aggregated as spend for the organisation, even though no payments have been made to suppliers yet. And not all purchases can be covered by PO’s, such as property utilities and telecommunication services. Invoiced spend – Goods delivered by suppliers are usually accompanied by invoice records that state the type of supplies delivered, their quantity, and value. The organisation’s obligation to pay suppliers starts from this stage, when the supplier invoices were accepted. Invoiced values can be regarded as spend, as the organisation will eventually pay the invoices. Accounted/Posted spend – Within an organisation’s accounting process, details of supplier invoices are entered into sets of accounts according to the principles of book-keeping. Once entered into the organisation’s accounts, supplier invoices are recognised as liabilities and payments are scheduled based on the agreed payment terms. It should be noted that all supplier invoices are accounted, whether they are related to expenses or assets (which will be depreciated under other accounting rules). Cash-out – At the final stage when actual payments are made to suppliers, the accounts are adjusted to reflect a lower liability position for the organisation. This is the “real” spend for the organisation. Although this type of spend is easily understood, it is nevertheless a view which is unnerving at the same time, due to suppliers being paid at different times (according to the agreed payment terms). So when a cash-out position is incurred and reported, it may be months after the expense is accounted and reported in financial statements. It is this delay in reflecting the cash-out position that creates doubt among business users that the spend data does not correspond with their view or understanding of the business performance. This is the predicament of cash-out, even though it is the closest to the definition of spend. The source of spend data varies according to the spend type used. Contract database for Contracted spend is relatively easy to use, if contract storage solution was implemented and the records maintained in good order. Purchase order systems for PO spend is easy to use, provided the PO system was implemented for a wide variety of commodities and implemented with few exceptions. Other forms of purchasing, such as suppliers’ ordering platforms, will need to be included in the scope if they were used as supplementary purchasing channels. Invoice systems for Invoiced spend is easy to use, especially for larger organisations who implemented shared or centralised back-office functions (in-house or outsourced) to receive and process supplier invoices. Financial accounting systems for Accounted spend and Cash-out. Accounting systems can be considered as the most reliable and comprehensive source of spend data as every organisation has an interest in maintaining its book-keeping function in good order. Data extraction and validation from accounting systems is complex and requires a fair amount of efforts to set up and execute. Once the data source was identified, a method for extracting the data on a regular basis needs to be defined, set up and tested. Typically, a reporting function or a custom script is developed for the source system to create custom data files that can be transmitted and accessed by within the spend analysis environment. The data extraction routine need to be validated and checked for completeness, accuracy and compliance with the data standard defined for spend data. For organisations with multiple source systems, these steps of creating and validating the custom scripts need to be repeated for every source system. Be comprehensive and extract all spend with external parties, regardless of whether the spend can be meaningfully sourced and managed by Procurement or otherwise. Examples are interest payments made to financial institutions, duties and taxes and related party payments. If such spend was considered to be outside the scope of the Procurement function, the affected data can be marked and categorised as such. Restricting the data extraction for spend analysis will understate the overall spend, and create mismatches between overall spend and expenses reported in the financial statements. Payments for all expenses, operational and capital expenses, should be included. This is in contrast with the practice of depreciating capital expenses to maintain the matching principle of financial accounting. For Procurement to carry out strategic sourcing activities, all forms of supplies are in scope, regardless if they are of capital or expenses in nature. 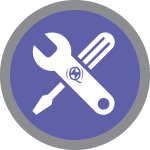 When more than one source system was involved, maintain a strict compliance to the defined spend data structure. This may require a documented ‘data dictionary’ that describes in detail all data points and their formats. Each source system will then have to map its data points to the defined data structure and submit their data files for validation. Where available, extract data in the coded format and its associated text description instead of extracting text data only. For example, department and material data in accounting systems are typically assigned unique codes according to the organisation’s setup and needs. Such coded data is easier to operate and process in subsequent steps than data that contains text only. The downside is a little more effort in synchronising master data between the source (accounting system) and destination (spend analysis) systems during the reporting stage. 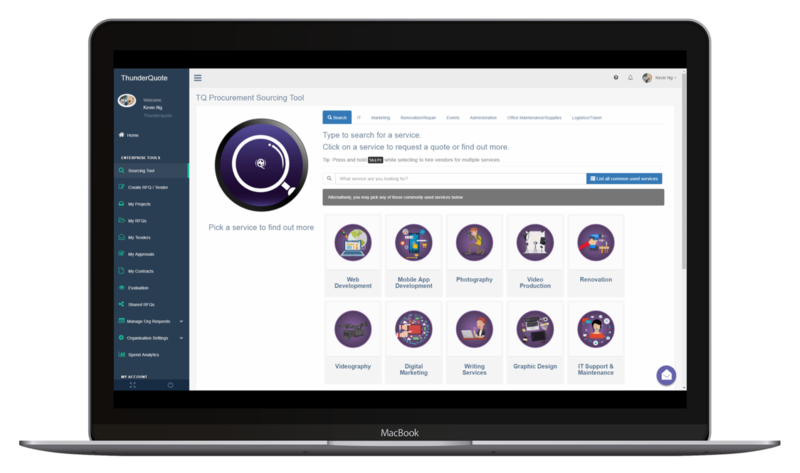 Try ThunderQuote today to simplify your procurement processes, i.e. spend analysis. Sign up now for a quick demo from our team. And thus far, we covered half of the spend analysis process. In the next article, we will look into the core of the spend analysis program, the categorisation of spend data.